Companies found guilty of wrongdoing should be hit with massive fines instead of being barred from doing business, according to an expert on public policy. Ian Lee, an associate professor at the Sprott School of Business at Carleton University, was discussing fraud allegations against Quebec company SNC-Lavalin. The company has pleaded not guilty in the case. If found guilty, it could be blocked from competing for federal government contracts for a decade. "Banning them from business and essentially, potentially forcing them into bankruptcy — I don't think we should be looking at that remedy," said Lee, who teaches business strategy and public policy. "We should start thinking about the remedy as being a financial fine, but a very, very large — in the billions — fine for a big, multi-billion-dollar company," he told The Current's Anna Maria Tremonti. Fines like this can encourage compliance by hitting the company's shareholders and senior executives in their pockets, he said, whereas bankruptcy would mean thousands of workers being laid off. "All these large corporations ... the senior executives' wages are tied — as a form of profit sharing — to the profitability of the company, typically the share price," he said. 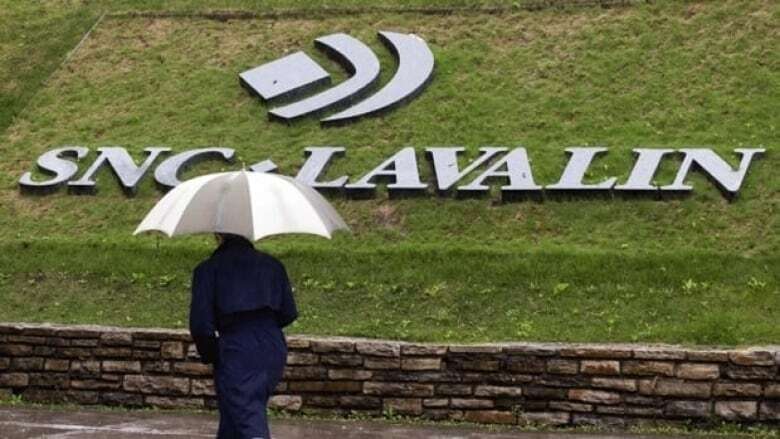 SNC-Lavalin denies all allegations of fraud and corruption in connection with payments of nearly $48 million to public officials in Libya under Moammar Gadhafi's government, and allegations it defrauded Libyan organizations of an estimated $130 million. On Monday, the ethics commissioner announced he will investigate allegations the Prime Minister's Office pressured former attorney general Jody Wilson-Raybould to direct federal prosecutors to make a "deferred prosecution agreement" with SNC-Lavalin. Wilson-Raybould resigned as Veterans Affairs minister Tuesday morning. She tweeted: "With a heavy heart I have submitted my letter of resignation to the Prime Minister as a member of Cabinet." The deferred prosecution agreement would have allowed SNC-Lavalin to make an out-of-court settlement over the criminal charges, while continuing to operate as a business. Dave Seglins, investigative reporter with CBC News. Ian Lee, associate professor at the Sprott School of Business at Carleton University, where he teaches business strategy and public policy. Jennifer Quaid, assistant professor of law at the University of Ottawa, specializing in corporate criminal liability. Produced by Howard Goldenthal, Idella Sturino and Jessica Linzey.